Are "Please don't touch me!" signs the hot new baby shower gift? 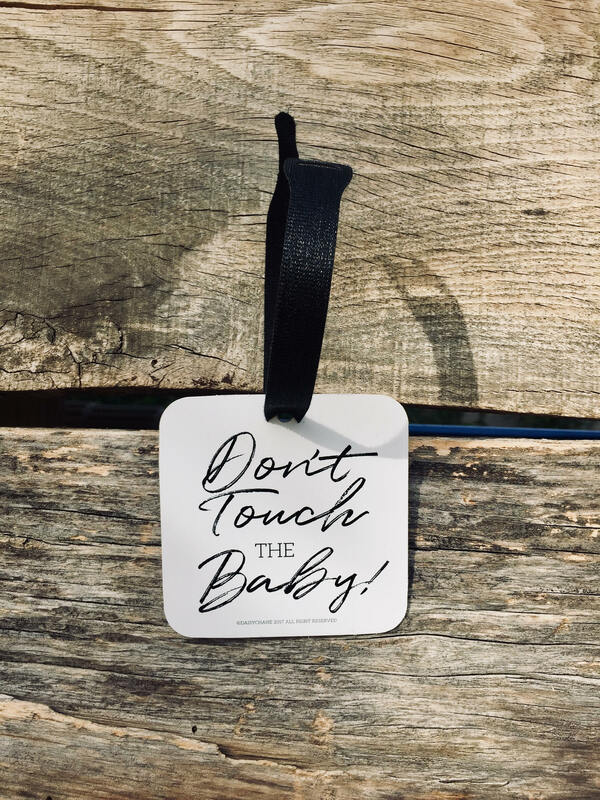 Are “Please don’t touch me!” signs the hot new baby shower gift? As parents are warned of the dangers germs pose to their tiny new babies, a whole new genre of products is popping up to keep (possibly) grubby mitts away. 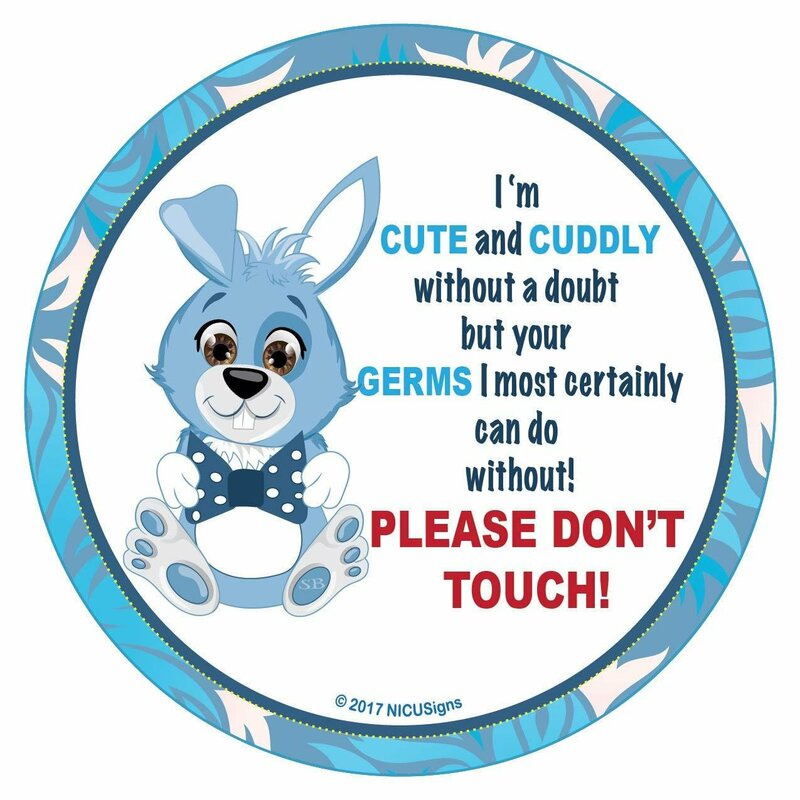 Keen to avoid having their newborns exposed to germs from things like flu and herpes, mums and dads are inviting people to keep their distance with these polite and pretty signs. They’re designed to be hung from prams and baby carriers, in the hope that baby admirers will think twice before accidentally sharing any lurking bugs with vulnerable bubs. In the early weeks of life, babies are particularly vulnerable to roaming viruses, and while parents COULD keep their kids at home until they’ve built up some immunity, it’s a much better idea to request well-meaning strangers keep their distance. These signs are perfect for parents of kids with immunity challenges, newborns and especially good for premmie babies. While they can’t keep children completely safe from germs, they will stop some of those pesky paws extending in to grab your child, which has to be a very good thing. 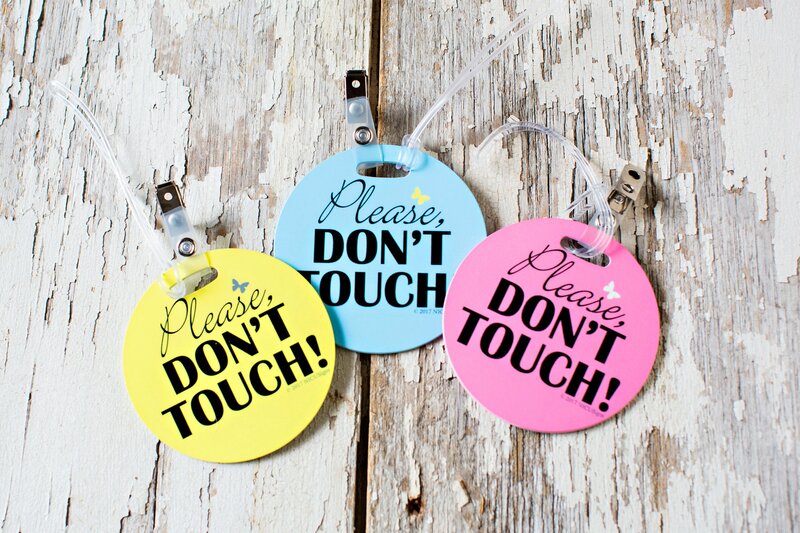 A quick scan of Etsy reveals there’s a growing market for ‘don’t touch’ signage. It’s easy to understand why.